Product #60535 | SKU 64014 | 0.0 (no ratings yet) Thanks for your rating! 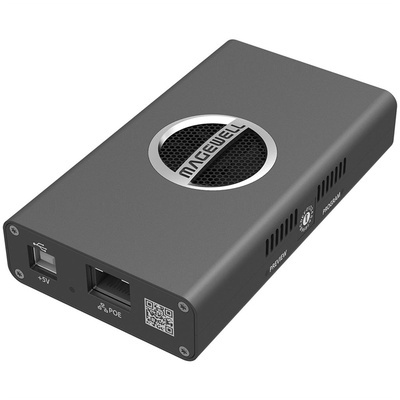 Convert HDMI video to an NDI stream with the Magewell Pro Convert HDMI 4K Plus. Pro Convert 4K features one HDMI input and one HDMI loop-through output with eight channels of embedded audio, and it supports HDMI input up to DCI 4K 4096 x 2160 at 60 fps. The RJ45 Gigabit Ethernet port supports encoded NDI output up to 4096 x 2160 8-bit 4:2:2 at 60 fps.